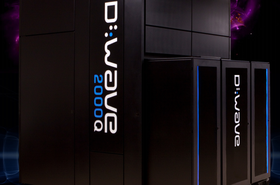 The Department of Energy's Los Alamos National Laboratory has upgraded its D-Wave quantum computer to the latest version, the D-Wave 2000Q. 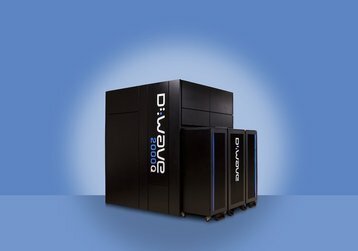 After acquiring a 1,000+ qubit D-Wave 2X quantum computer in 2015, Los Alamos and its research collaborators have built more than 60 early quantum applications and conducted research into domains such as quantum mechanics, linear algebra, computer science, machine learning, earth science, biochemistry and sociology. Classical computers use bits that are either in the state of 0 or 1, but quantum bits (qubits) can be in the state of 0, 1 or both - known as superposition (note: this is a highly reductive explanation, with superposition a complex linear combination of a 0 state and a 1 state). With superposition, quantum computers can take advantage of the significantly greater number of possible states, theoretically allowing for vastly superior computing power. 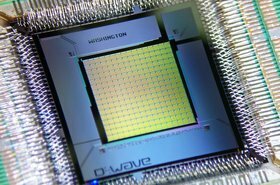 While D-Wave calls itself ‘the world’s first quantum computing company,’ others have questioned the veracity of such a statement, with the debate focusing on the quality of D-Wave’s quantum bits. John Morton, a professor of quantum computing at University College London, told Bloomberg that, with an older version of the D-Wave system he saw, its qubits only remained in a quantum state for about 10 nanoseconds - not enough time to solve a very complex equation. Entanglement, where qubits function collectively, also appeared to be limited. But, unlike those companies, which at best offer limited access over the cloud, D-Wave has sold variations on its product for years, with its first 2,000 qubit system shipped in 2017 to the cybersecurity firm Temporal Defense Systems. It has also sold a system to Google and NASA, as well as Oak Ridge National Laboratory, among others. “We are pleased that the Department of Energy’s National Nuclear Security Administration Advanced Simulation and Computing program funded the upgrade of the D-Wave system, allowing us to continue to explore quantum simulation and algorithms at larger scales,” Irene Qualters, associate laboratory director for Simulation and Computation at Los Alamos National Laboratory, said. Vern Brownell, D-Wave CEO, added: “Los Alamos is a global leader in high performance computing and continues to pioneer the application of new architectures to solve critical problems. 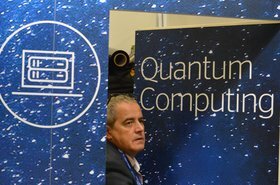 Their collaborative work with D-Wave has opened the door for universities and leading researchers across the country to use our quantum computer for vital research and application development.